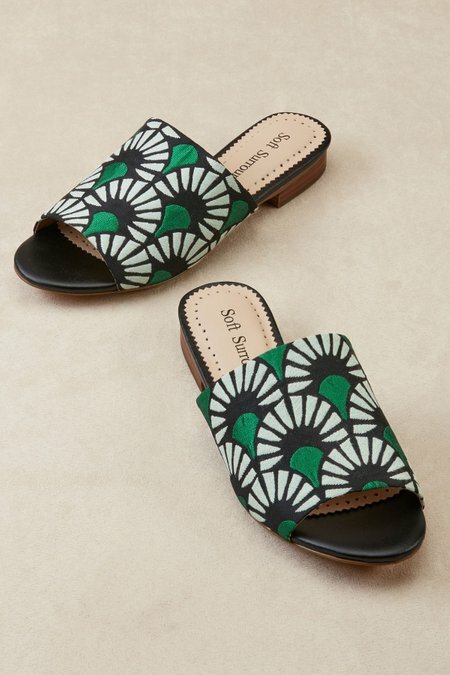 Extreme comfort hides within the on-trend beauty of these gorgeous brocade slides in three artistic designs: shimmering gold, Asian floral or geometric. Vegan leather lining and a padded footbed keep feet cool and comfy. Vacation-ready whenever you are. 3/4" heel.